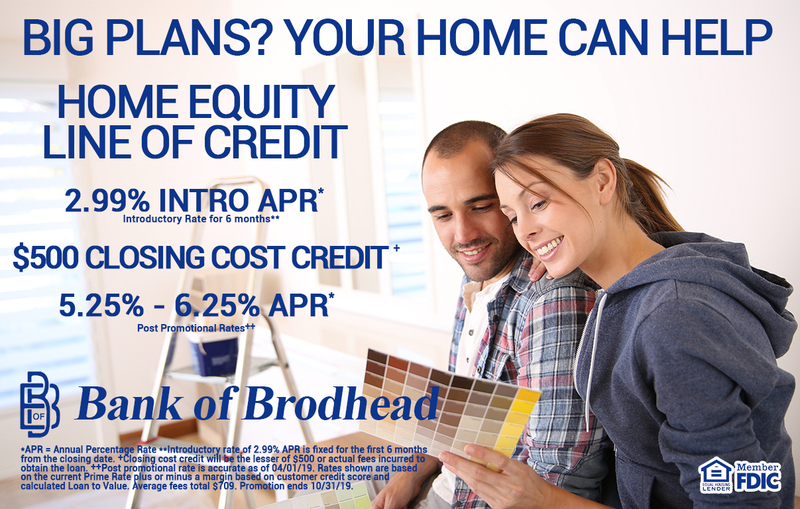 *APR = Annual Percentage Rate **Introductory rate of 2.99% APR is fixed for the first 6 months from the closing date. +Closing cost credit will be the lesser of $500 or actual fees incurred to obtain the loan. ++Post promotional rate is accurate as of 04/01/19. Rates shown are based on the current Prime Rate plus or minus a margin based on customer credit score and calculated Loan to Value. Average fees total $709. Promotion ends 10/31/19.